Understand what is meant by a multiplication expression, such as 2 × 3. Model a multiplication expression using groups or an array. State the multiplication expression that matches an array or diagram of equal groups. Model a multiplication expression as repeated addition: 4 × 3 = 3 + 3 + 3 + 3. Show that the commutative property applies to all multiplication problems. Create an example of Repeat Addition,Grouping and an Arrray using a subject you are interested in. Students can apply what they have learned about an array. Looking forward to Incorporating this Gizmo into my lesson this week! I have used and viewed this Gizmo several times with my third graders. Everytime I use it, I find it to be more and more fascinating! This is a great gizmo for multiplication. 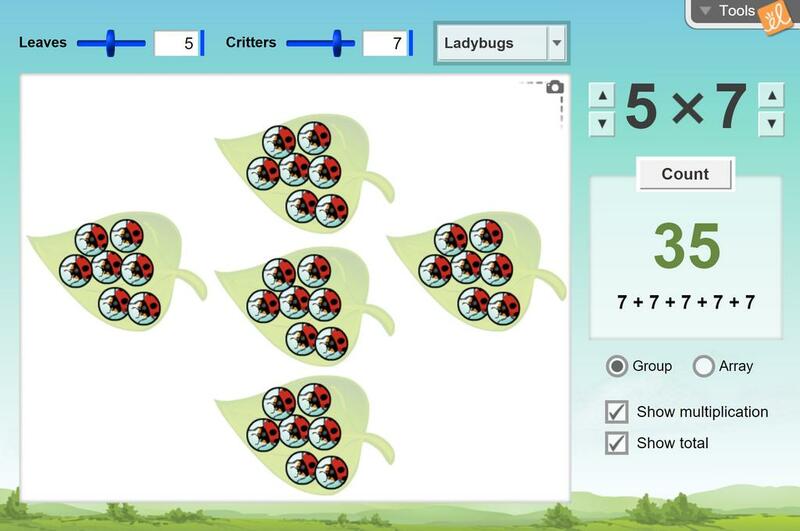 It even sorts the pictures into arrays as well as groups!